Michael John (Jack) O’Reilly was the son of Michael and Mary Ann O’Reilly of Albury. Michael had previously married Ellen Bradley but after her death remarried to Mary Ann Smith in 1892. There were eight more children, Francis Aloysius (b.1893), John (b.1894, died aged 1 day), Michael John (b.29 Oct 1895), Elizabeth Agnes (b.1897), Mary Gertrude (b.1899), William (b.1900), Margaret Fidelis (b.1902), and James Bernard (b.1904). John was named, when born Michael John, but also known as John or Jack. A previous child was named John but John b 1894 died after age 1 day. Jack attended Albury School until 1911, after which he worked on the family farm until he enlisted for World War One. When he enlisted Jack's step-brother Edmond O'Reilly (service no. 6/1219) had already died while serving on 9 August 1915. 2 July 1916 Trentham: “Just a line to let you know I arrived alright[.] We had tea on the train and supper and breakfast on the boat, We spent Thursday getting issued with Dungarees and blankets etc. We get plenty good food and I eat like an elephant …” Six of Jack’s friends were billeted in his hut. 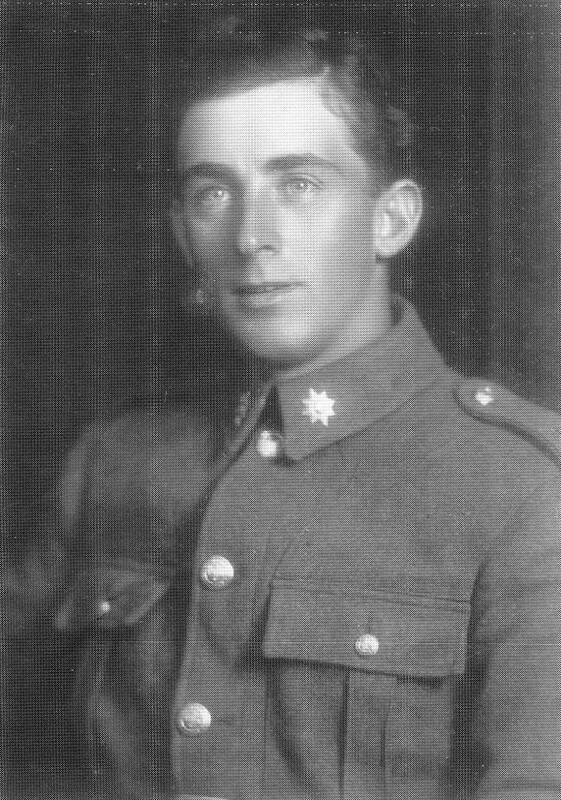 On arrival in England, Jack was posted to the reserves, Canterbury & Otago Regiment and reverted to the rank of Private. Joining the Otago Infantry Regiment, Jack proceeded overseas to France on 11 February. That was the last letter from Jack, as on 11 August 1917 he was killed in action, aged only 21. Given the postal delays the letter would have arrived some weeks after his family had news of Jack’s death. 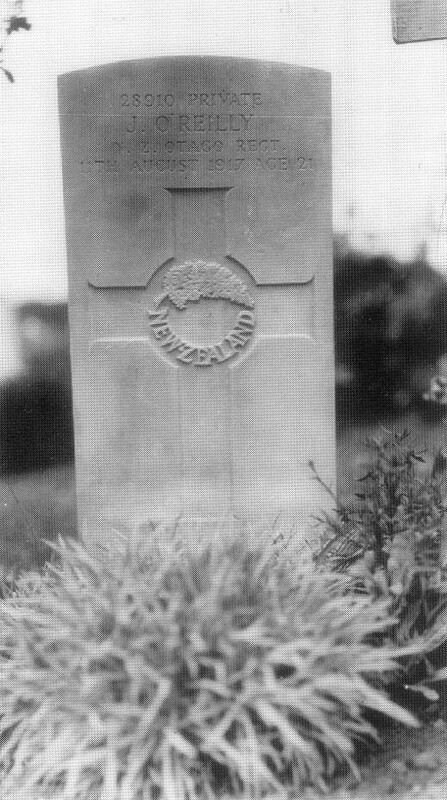 Jack was buried at Prowse Point Military Cemetery in Belgium..